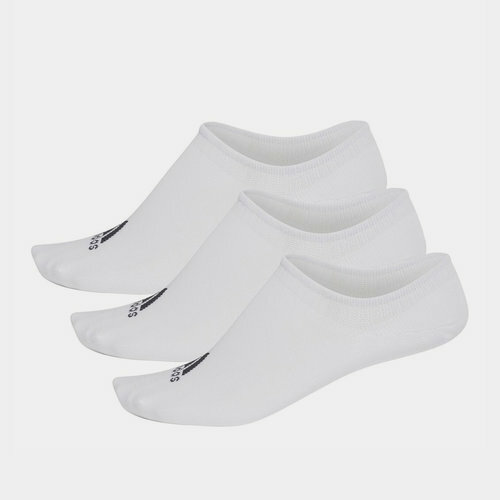 Don't let your shoes rubbing your feet distract you from smashing your work out but make sure you still look the part with these adidas Performance Invisible Socks - 3 Pack in White. These training socks come crafted by German sports brand adidas and have been built to keep you working hard. In an ankle-length design these socks have been made with strategic cushioning in high-stress areas. They feature a comfortable build with some stretch. Half cushioned for comfort; Anatomically placed cushioning to support and protect high-stress areas.